Now, be prepared for the endless hours of fun and entertainment. 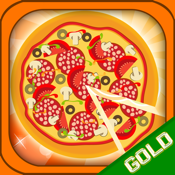 Cooke as much pizza you can by clicking or tapping on giant pizza as fast you can to create more pizza. If you have enough pizza then visit the shop to upgrades to cook more pizza. We want your feedbacks! Let's work together to improve your game experience!